I like to think by the time we make it to the 23rd century, we won’t be using wall plugs, and all power will be completely wireless. But Trekkies living in today’s world must suffer through the act of connecting their electrical devices to a wall outlet. 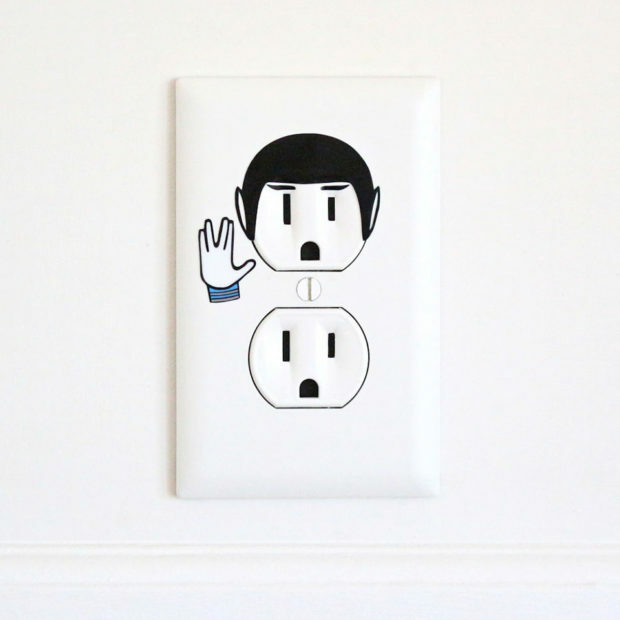 I suppose if you have to do it, let it be using this Spock outlet. The guys over at Electric Sticker Co. specialize in vinyl decals that turn your empty power outlets into funny little people, like Commander Spock here. If you think Spock isn’t the logical choice for your wall, they also sell decals of Batman, Finn & Jake, Wonder Woman, Doctor Who and more. My other favorite has got to be the Heisenberg outlet sticker. 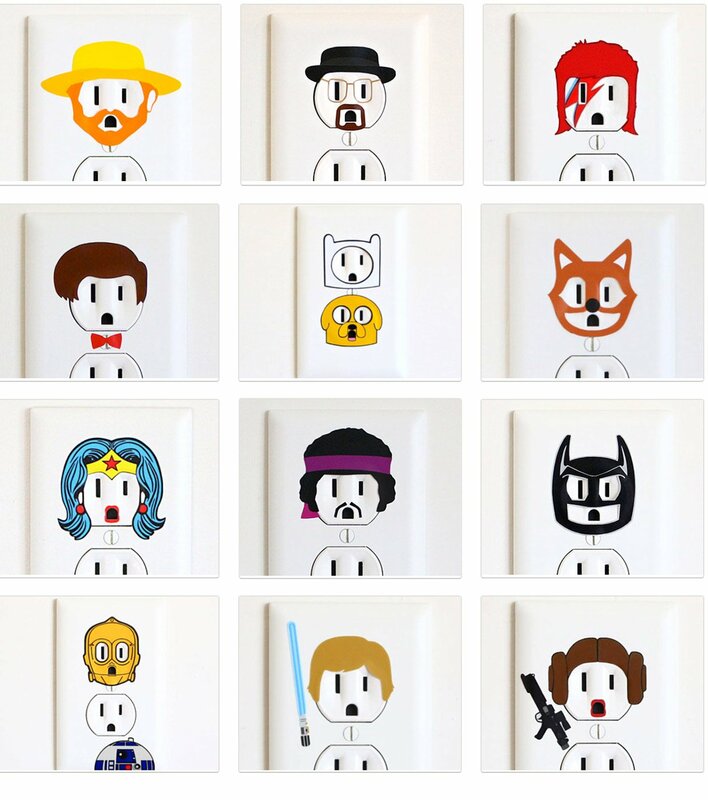 Drop by Electric Sticker Co.’s Etsy shop to grab some of these fun decals. They’re just under $4(USD) each.